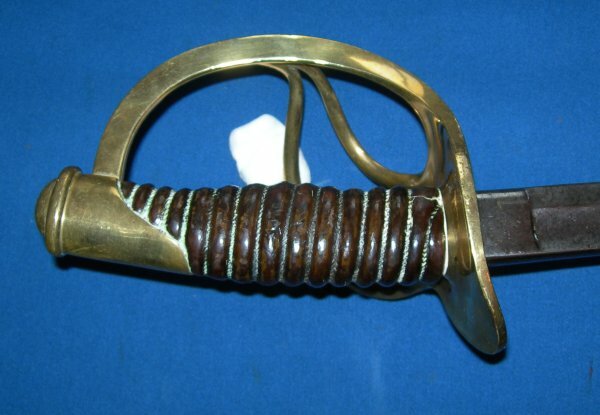 In good condition, a United States Civil War cavalry sabre. 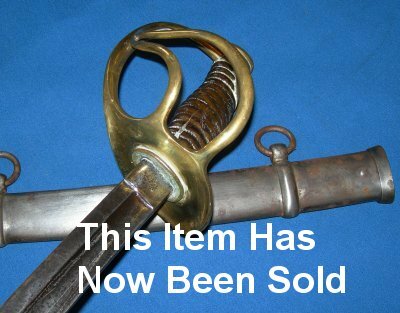 Guaranteed authentic US Civil War / 1860M cavalry sabre (be warned, most 1860M's are reproductions; this sabre is guaranteed authentic). The sabre has been shined up and is quite impressive. The 34 3/4 inch blade is in good order, firm in the hilt. The hilt in good shape, no apparent damage. The wooden grip has an age (through being in a dry atmosphere) crack and has lost its twisted grip wire bindings (replacement easily made with brass jewelry wire, a vice and an electric drill on slow speed to hold and twist the wire). Steel scabbard in good condition. Sword sheathes and draws well. A good sword. Please quote item reference number G44. Further / large images available upon request.